As many astute readers of this blog may know, weed makes people feel good. Also, being homeless makes people feel pretty bad. Thus it is no surprise that one of the main groups of marijuana users in the country are those who do not have a place to hang their hats. And yet, newspaper after newspaper prints stories about marijuana allegedly causing or increasing homelessness, as if it is something abnormal or of great concern. 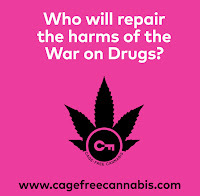 Echoing the concerns of urban hand-wringers across the country, the police chief in Pueblo, Colorado, told his local newspaper the other day that transients "come to either extensively get jobs in the marijuana field or as it ends up, most of the time just to get marijuana." To the chief's credit, he noted other factors drawing transient people to Pueblo, including the weather, perceived lower cost of living, and unfortunate life events. But he maintained that the marijuana-homeless connection should have been better recorded in a recent study of local marijuana legalization by Colorado State University-Pueblo's Institute of Cannabis Research. 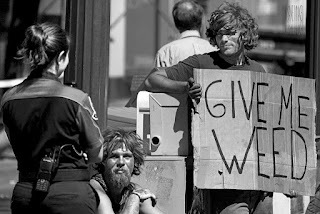 The researchers should not feel bad about overlooking the marijuana-homeless connection in Pueblo, because anyone familiar with the history of cannabis in the United States will say that there is nothing novel about homeless people smoking weed. Historian Zachary Falck writes that in the 1930s, "urban Americans also perceived cannabis as dangerous because transient Americans used the plant." 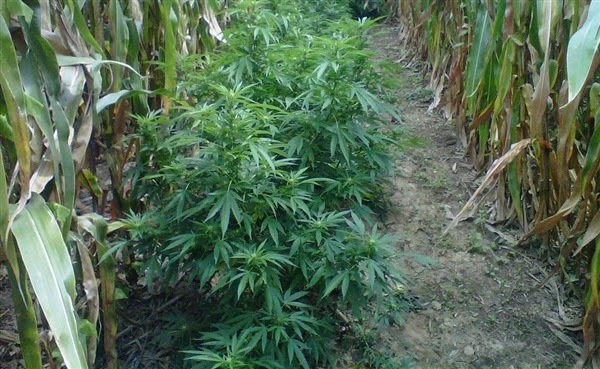 Transient marijuana growers and smokers were found from New York to St. Louis, from Seattle to Memphis. They included jazz musicians, the mentally ill, and the out-of-work and others displaced by the Great Depression. Police pointed to the herb's use among Mexicans, African Americans, and the homeless as a reason why the plant was dangerous, lumping cannabis and those who used it together in a criminal class. Falck argues that authorities portrayed cannabis "as a weed to cultivate fear and tighten social order" in the nation's cities. "It was not unusual, especially in the north, for poor whites to live side by side with negroes and Mexicans in these camps, where there were no Jim Crow color lines and marijuana was used by all ethnicities as a cheap intoxicant that didn't ravage the mind and body like rotgut alcohol." Cannabis's value among transients and other marginalized people is not unique to the United States. 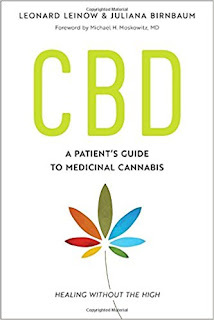 Geographer Chris Duvall, who studies the global history and distribution of cannabis, argues that marijuana "has a long history as a drug used primarily by lower social classes." These include soldiers, prisoners, slaves, migrant workers, and yes, transients, from Africa to the Caribbean to Central and South America. Contrary to what many newspaper reports imply, homeless people gathering in places where there is easy access to weed isn't exactly noteworthy phenomenon. Rather, it is a fundamental part of cannabis's relationship with modern societies. Headlines such as "legal marijuana drawing homeless to Colorado" are pretty much saying the same thing as "homeless people drawn to local food bank." It's just...not news. Yet the enduring stigma of marijuana use, combined with its long and well-documented history among the poor, ensures that such headlines will bring newspapers a ton of clicks and other attention, which they hope to convert to revenue. Far from helping readers understand the homeless, those clickbait headlines only promote a tired and unfair stereotype of homeless people as lazy drifters who pollute communities with drug use. Responsible news outlets should continue to portray homelessness as a multi-faceted problem that has as much to do with draws like weather and legal weed as it does with affordable housing crises, access to mental health services, and home and job loss. The homeless themselves, meanwhile, should never be reduced in print to empty-headed drugseekers--after all, they are simply fellow humans in need, and all of us are one spell of bad luck away from joining them on the streets. Oh, and the CSU-Pueblo researchers should feel free to ignore their police chief and go on with their studies, which so far have suggested that marijuana legalization is one of the most economically sound policies any municipality can enact. Sources for this post: Zachary Falck, Weeds: An Environmental History of Metropolitan America (Pittsburgh, PA: University of Pittsburgh Press, 2010), pp. 76-89; Martin A. Lee, Smoke Signals: A Social History of Marijuana--Medical, Recreational, Scientific (New York: Scribner, 2012), pp. 44-46.